Bensalem officials believe the suspect could be using the formula for drugs. By Claire Sasko·	 8/2/2017, 1:07 p.m. The Bensalem Police Department is searching for a man who allegedly stole large amounts of baby formula from multiple stores in the area. Police say the man took bottles of Similac Formula from a Target on Rockhill Drive in Bensalem shortly after 1:30 p.m. this past Sunday, July 30th. He reportedly fled the scene in an red Ford Ranger pick-up truck. Bensalem Public Safety Director Fred Harran told 6ABC that the suspect could be using the stolen formula for drugs, as some dealers use Similac to cut substances like cocaine. Harran told the news organization that the suspect has stolen more than $300 worth of formula, including from a different Target store, located in the 200 block of Mill Road in Oaks. “This criminal has hit numerous times in our area and we need to identify him before he steals again,” police said in a statement. 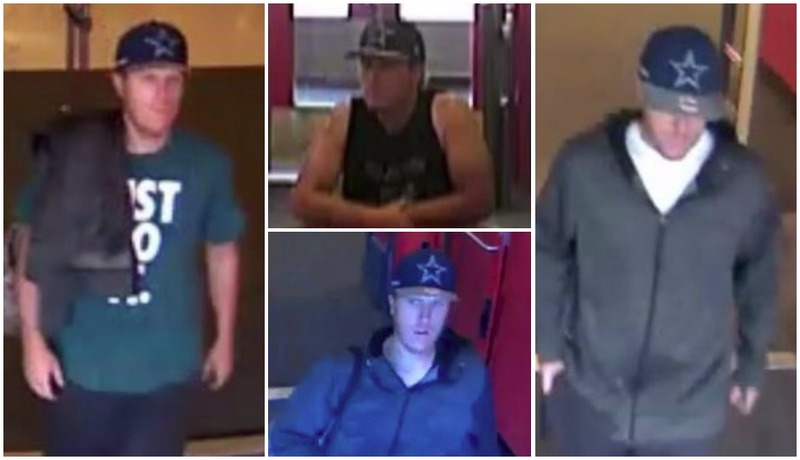 The suspect, a white male, can be seen in multiple photos wearing a blue Dallas Cowboys hat with the team’s star logo. He’s also been spotted wearing a shirt with Nike’s “Just Do It” slogan, a black tank-top and a gray zip-up jacket. Anyone with information about the suspect’s identity is asked to submit a tip or contact Bensalem Police at 215-633-3719.